Ninth Circle is a Norwegian metal-band. The name Ninth Circle was inspired by the book Dantes Inferno where the author describes his journey through hell. Ninth Circle was what he named the deepest region of hell, where the fallen angel Lucifer guarded the path which led to heaven. Ninth Circles music can best be described as a furious powertrip with crushing guitars, brutal vocal performance and a deadly rhythm section. 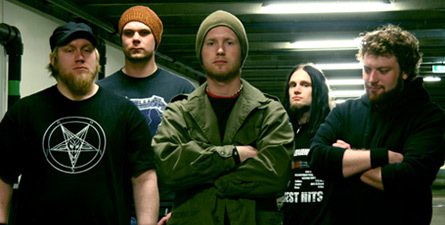 Ninth Circle is Lars Halvorsen, Frode Lehne, Peik Bergersen, Christian Paulsen and Espen Geitsund.